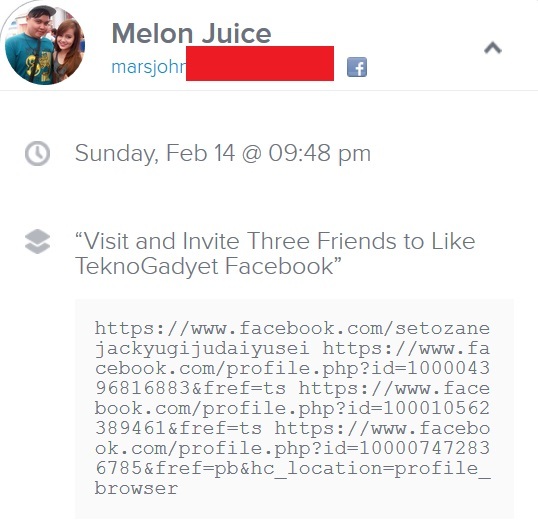 Melon Juice, with his entry "Visit and Invite Three Friends to Like TeknoGadyet on Facebook", dated February 14. For sure, that is not his real name, but since his FB page is active and the entry he made is valid, there is no reason for us to deny his prize. Congratulations to you, sir! Please kindly contact us via our social media accounts or through the contact form found on our blog. 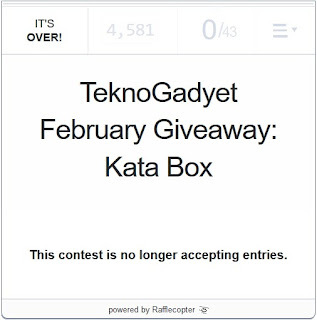 You have 15 days to do so, failure to comply means forfeiture of your winnings. 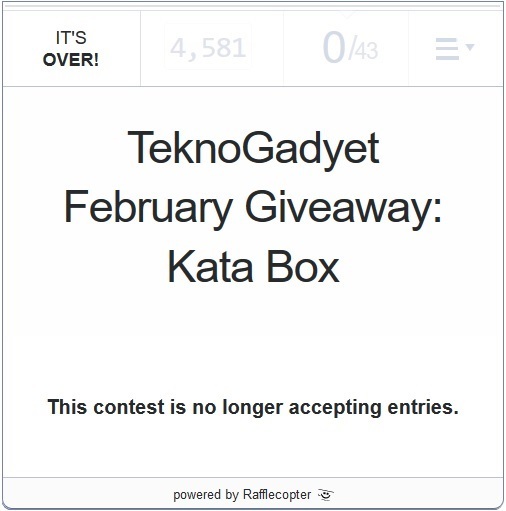 Thanks a lot everyone for joining and please keep on visiting our GIVEAWAYS section for more exciting prizes.